Wounded Times: Maine Soldier and Family Assistance Center Specialists Face Pay Cut? Maine Soldier and Family Assistance Center Specialists Face Pay Cut? Some were forced to give up a job that they describe as a calling because they could no longer afford to pay their bills. Others are hanging on, taking second jobs and facing severe hardship at home. As a Republican and a Democrat who serve in the state house in the great state of Maine, we spend our days on opposite sides of the aisle. More often than not, we disagree. However, we came together today because we believe that some things are more important than party affiliation. Before we are Democrats, Republicans, or even Mainers — we are Americans. And as Americans, there is no more important issue than supporting our troops. 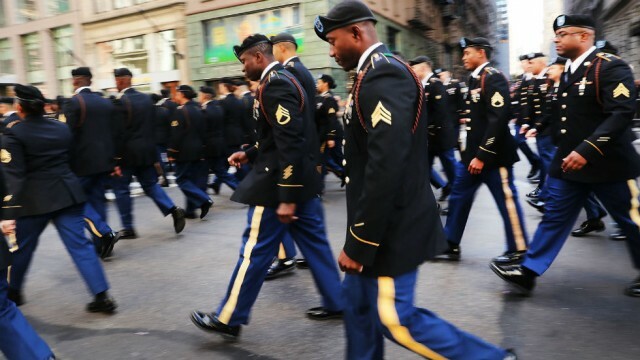 As Catherine Rampell recently reported in the Washington Post, the workers who are actually supporting our troops are not getting the respect they deserve. More than 400 men and women across our country make it their mission to support our troops. Known as Soldier and Family Assistance Center specialists, they are the people who military service members or veterans turn to in crisis — they do whatever it takes to connect them, and their families, with a broad range of legal, medical, financial and psychological services. In fiscal year 2015 alone, SFACs addressed more than 2.7 million inquiries, referral requests and outreach calls. We are speaking out for SFACs today because their wages were recently slashed in half by the federal government.